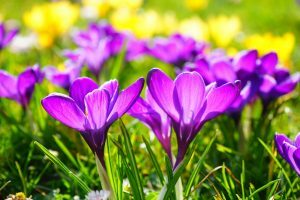 Getting Ready For Spring With A Spring Cleaning Checklist! It’s hard to believe that spring is a week away as we here in New England having a blizzard. Eugene is blowing through the Northeast. Regardless, that we are still dealing with the affects of winter, it is never too late to prepare for spring! It’s this time of the year that Professional Organizers hear from individuals wanting to begin the process of de-cluttering various rooms of their homes. That is always a good thing to begin doing, even if your home is not “cluttered” per se. It is always good to at least once a year go through your home and remove items that you no longer use, need or want. This makes it easier when you are in a position to downsize or move or just helps to keep your home clutter free. While you are in the process of doing some de-cluttering, consider incorporating “Spring Cleaning” into these projects. Below is a “Spring Cleaning” checklist to give you some guidance on what to consider doing. So there you have it … some great Spring Cleaning ideas for each room of your house. But this list would be incomplete if we didn’t cover outside. So here you go, ideas for Spring Cleaning your outdoors. Clean your deck and patio furniture. Well I hope you enjoyed this list and that it will help propel you into getting your home ready for the summer. Understand that de-cluttering is a first step in each room before cleaning. Why clean what you don’t want to keep? Does the de-cluttering process seem too overwhelming to you? Contact Me and I’ll be happy to get the process started for and/or with you!